I bought a REP Gaming Products Steel Deck Commander box at Gen Con and this is my review. 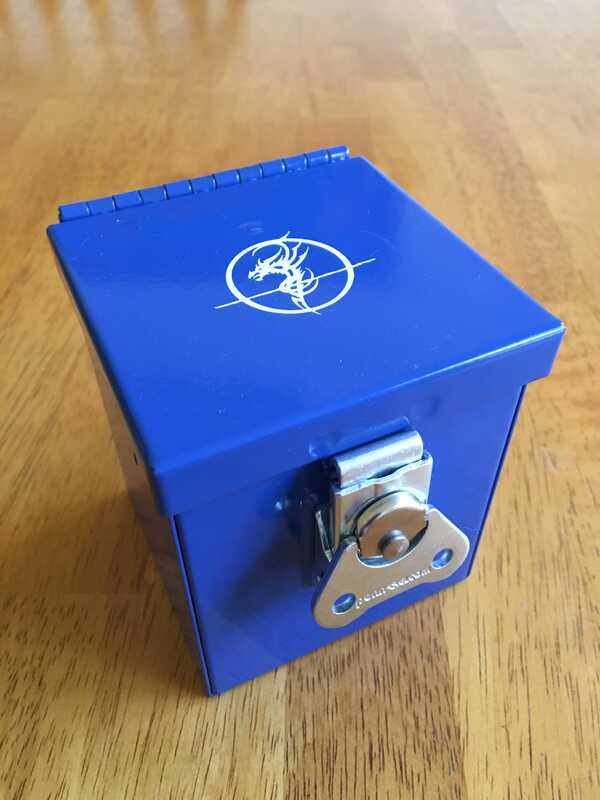 The box is solid steel and has interior dimensions of 3.625″ tall x 3″wide x 3″ deep. It is capable of holding 110 sleeved or double-sleeved decks of cards. 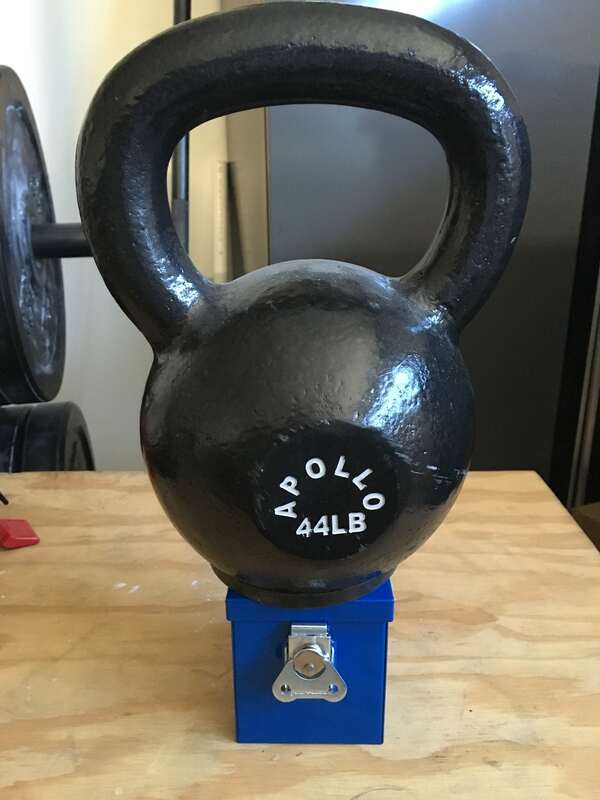 Constructed from galvanealed, powder-coated steel, it looks sharp. I went with blue, but it also comes red, black, white and green. Here is a shot with a standard deck of cards, without sleeves. The latch is a bit unusual to operate, so I thought a video would make it clear how it works. It works great and securely locks the box, but it was a bit stiff so I hit it with some knife oil. Worked great. Not really a defect, just makes the latch operate a bit more smoothly. Clearly, this box is meant to take a beating, so I put it under some stress. It did not even flinch, so as a final test. I stood on it, which took a bit of balance but it held my 172 pounds without complaint. Test passed, it can protect a deck from any reasonable damage. As an aside, it is not waterproof, but it does not claim to be either, so I mention it for those that were curious. 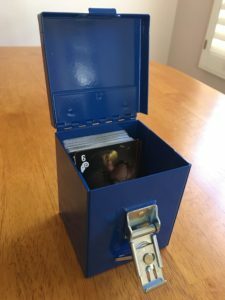 For a $22.00 price point, this is an amazing deck box and I will be using it for high-risk situations in future to protect my gaming cards.